Includes 5 starter deck-exclusive cards! The red starter comes with 5 exclusive GT cards!! The red starter is focused on the GT Saga! 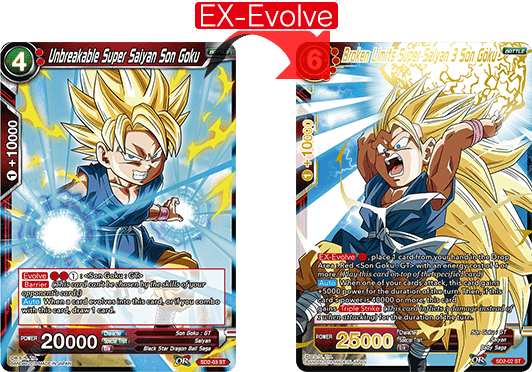 Goku gets a +5000 power boost during your turn when you’re at 3 life or less. Raise his power even more, and he gets Double Strike, too, making him the perfect Leader for aggressive red decks! Power up by attacking with your other cards! 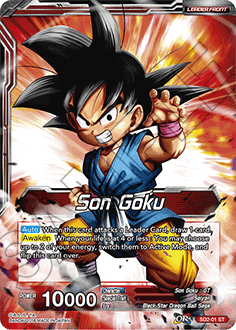 SD2-03 Unbreakable Super Saiyan Son Goku, an exclusive card also featured in this starter, has Barrier, allowing you to consistently play Broken Limits Goku with EX-Evolve! Pan raises your cards’ power and draws you cards when used in combos! 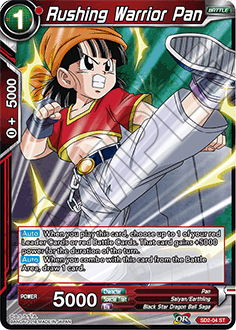 She also pairs well with the SD2-01 Goku leader and the BT3-001 Pan leader! 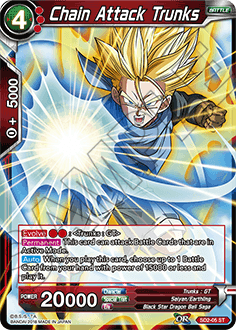 Use Chain Attack Trunks’ powerful skill to play Battle Cards with 15000 power or less from your hand! 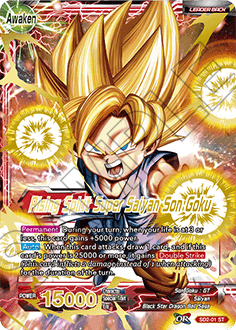 Pair him with the BT3-011 Trunks to get him on the board by turn 2 or 3! 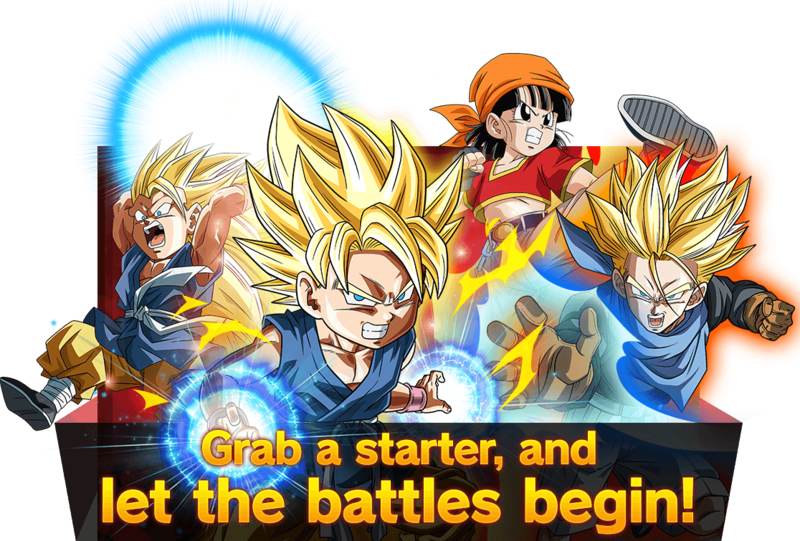 This deck is packed with Saiyans from the GT saga, and will have you playing in minutes!